Over the last 100 years, Perlick has given us a full range of bar and beverage solutions to help operators maximize the potential of their beer, wine, and cocktail programs. From the Tobin Ellis Signature Cocktail Station to draught wine equipment, Perlick equipment is designed to help operators make money, and it's designed to last. 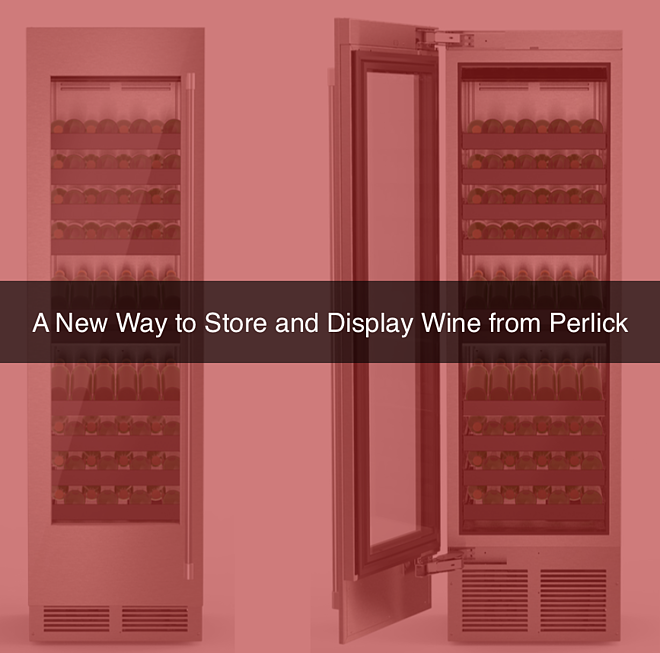 One of the latest units from Perlick provides a new way to store and display wine. There are two important factors when it comes to wine storage. Yes, there are many things to consider when it comes to storage and serve, but generally it boils down to preservation and perception. Wine must be stored properly. The enemies of wine must be eliminated, including temperature, vibration, light, and oxygen. This means a wine storage unit must be reliable in creating the optimal wine storage conditions. Perception is the next consideration. How is wine viewed within the operation, both literally and figuratively. A restaurant that views its wine program as an asset and strength of the overall service will display that wine in an accentuating light, be it on a wine list or the actual storage display in the operation. How you store and display your wine will have enormous impact in how much wine you sell. As we mentioned, there are other subsets to consider other than these main two factors. One of them is space. How much space an operation has, as well as where that space is located, will directly impact how where wine is stored and how it is displayed. In many operations where a wine program is important such as fine dining, space is often a commodity. This is where Perlick comes in. Available in the summer of 2017, their new Column Refrigeration Wine Reserve allows for vertical storage that is highly visible. Standing more than six feet tall, this attractive unit comes in both dual zone and single zone options with the ability to convert some of the horizontal shelves into an optional display shelf for high value wines. At the same time, the Perlick Column Refrigeration Wine Reserve only takes up about two feet both in width and depth, giving it an ideal footprint for limited spaces. With front venting, operators have even more options for placing the unit within the operation. Learn more about the Perlick Column Refrigeration Wine Reserve, as well as other bar and beverage solutions that can help make your operation more profitable. Schedule a free bar and beverage assessment from Apex today, and we'll help you plan for a more profitable future.